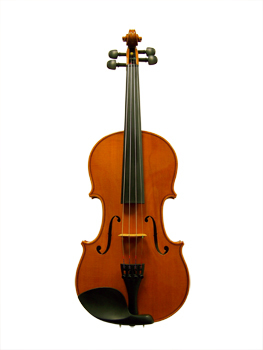 A handmade, hand varnished violin made in China. The finish is usually warm amber colored oil varnish. Adjustment includes ebony fingerboard, pegs, chinrest, composite tailpiece with built-in fine tuners, and LVS synthetic core strings.